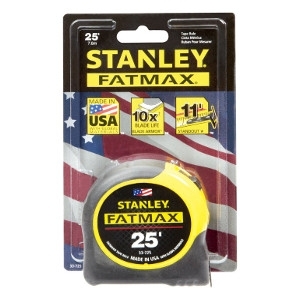 Stanley FatMax Tape Rule 1-1/4 in. W x 25 ft. L. Lockable. Belt clip.